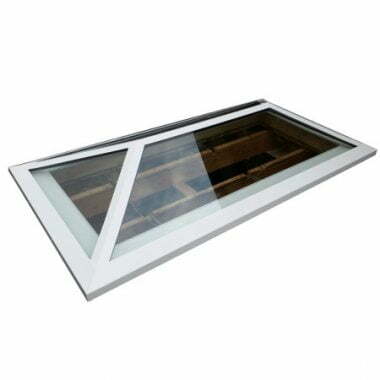 A roof light is an easy and cost effective way to add some natural light into a room and provide a modern update. A clear glass skylight can make a room feel bigger, brighter and can add a dramatic feature to the room. The rooflight can act as a focal feature to a room, especially if you like a minimalist look, due to the amount of light coming from it. And what’s more, a lot more light will flow into a room from a roof light than a traditional wall-based window. Some people who are building extensions prefer a rooflight with contrasting walls rather than a traditional conservatory. This is known as a ‘skyroom’ and gives the luxurious and relaxing feel of a conservatory whilst also counter-acting the problems of conservatories often being too hot in the summer and too cold in the winter. This makes the skyroom more suitable for all year round. Rooflights can work for other extensions as well. A loft conversion would benefit greatly from a skylight to provide some natural light into the area. This gives the illusion of space to an otherwise small area. It also has the benefits of providing a peaceful rooftop view, fresh air and some much needed ventilation during the hot summer months. Roof lights can work for almost any room instantly giving it a modern update and making it appear brighter and more spacious. Some people opt to have a skylight in their bedroom but roller blinds should be added as you don’t want your room to be too light at night in the summer. If you would like to know how you could give your home a modern update with a roof light call us on: 01670821166 on or send us an email at: info@directrooflights.co.uk.